Innocence Amidst Tragedy II | Irene Abdou Photography, LLC - Travel. Lifestyle. Documentary. NGOs, Development & Public Health. 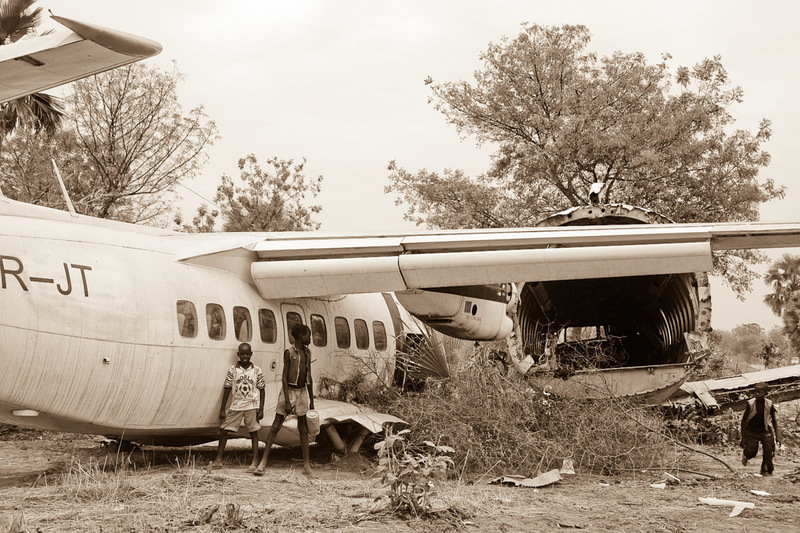 Children play in the ruins of crashed planes, on the side of the main road through Rumbek, South Sudan. After generations of civil war, the evidence of the war will remain for years to come - landmines and unexploded ordnance, old (un-operational) tanks, and crashed planes and fighter aircraft remind us of the difficult years. In 2005, Rumbek served as the interim capital of South Sudan, until North Sudanese troops had sufficiently departed the formerly occupied capital of Juba. Despite it's recent status as capital of South Sudan, Rumbek is not much more than a village with one main dirt road running through town, an international airstrip that is yet unpaved and where small, 10-30-seater planes land, and no public electricity, running water, or telephone lines.